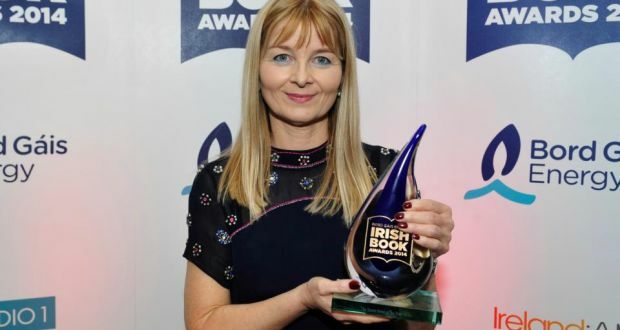 Mary Costello received the Eason Novel of the Year honour at the ninth annual Bord Gáis Energy Irish Book Awards for her debut work Academy Street. 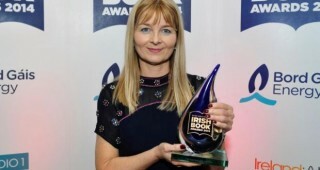 Mary Costello received the Eason Novel of the Year honour at the ninth annual Bord Gáis Energy Irish Book Awards for her debut work Academy Street. Before the ceremony, attended by a host of stellar names in literature, she said she was simply delighted to be nominated. “I feel very lucky to be among my five co-nominees,” she said. “It’s always nice to get this attention, especially for a first book, so I’m thrilled.” Mary was born in Garbally and daughter of Ann Costello and the late Tommie Costello. 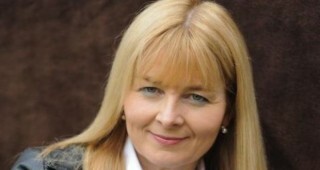 She attended Garbally National School and Holy Rosary College, Mountbellew before pursuing a career in teaching. Mary Costello has double cause to celebrate as on the same day that her debut novel, Academy Street, was published by Canongate, it has just been shortlisted for the Eason Novel of the Year award, the pre-eminent category in the Bord Gáis Energy Irish Book Awards 2014. Mary Costello, whose short story collection The China Factory was first published by Stinging Fly in 2012 and positively reviewed in The Irish Times, faced stiff competition from five more well-established authors, Colm Tóibín (Nora Webster), Joseph O’Connor (The Thrill of it All), David Mitchell (The Bone Clocks), John Kelly (From Out of the City) and John Boyne (A History of Loneliness), the current Irish Times Book Club selection. Academy Street is the story of Tess, who grows up in the west of Ireland in the 1940s as a shy introverted child, but whose heart of fire drive her to make her home and find love and loss on Academy Street among the hurly burly of 1960s New York. It has also been chosen for the Book of Bedtime slot on BBC Radio 4, a status it shares with Nora Webster, The Thrill of it All and The Bone Clocks.